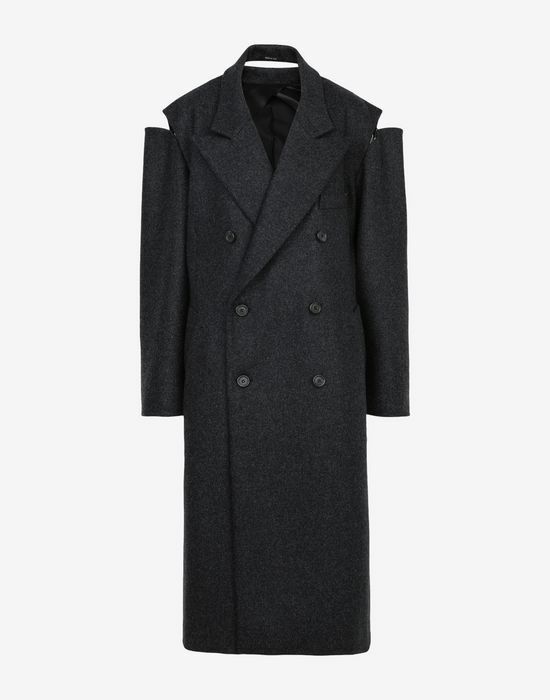 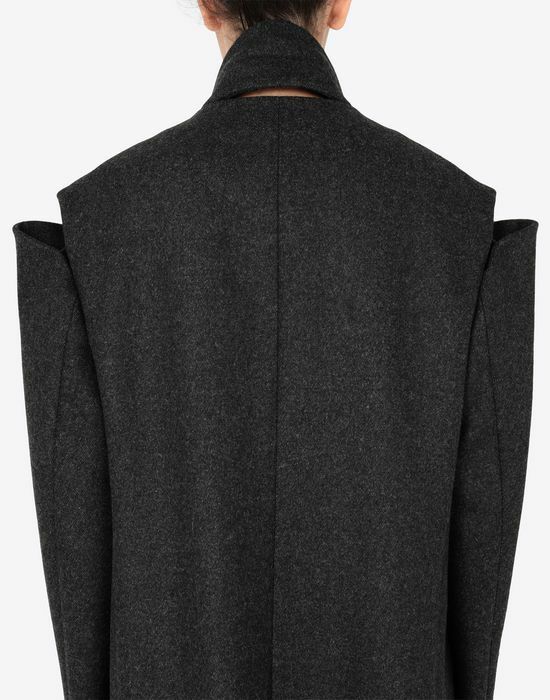 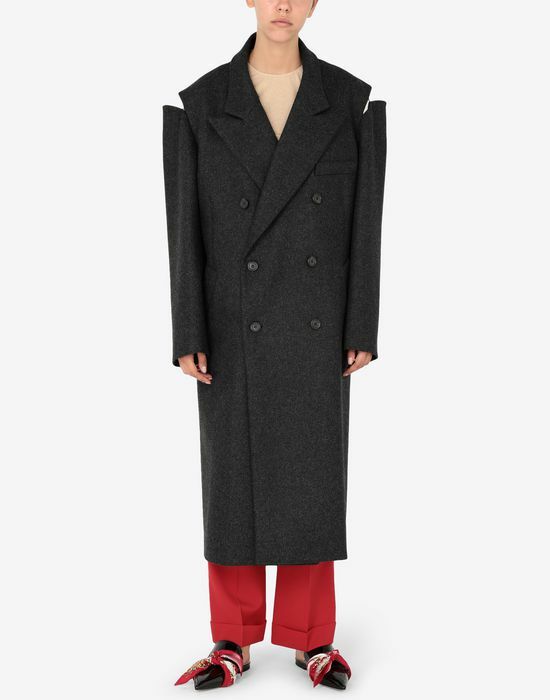 A key piece in the autumn-winter collection, this virgin wool coat presents a masculine-style silhouette. 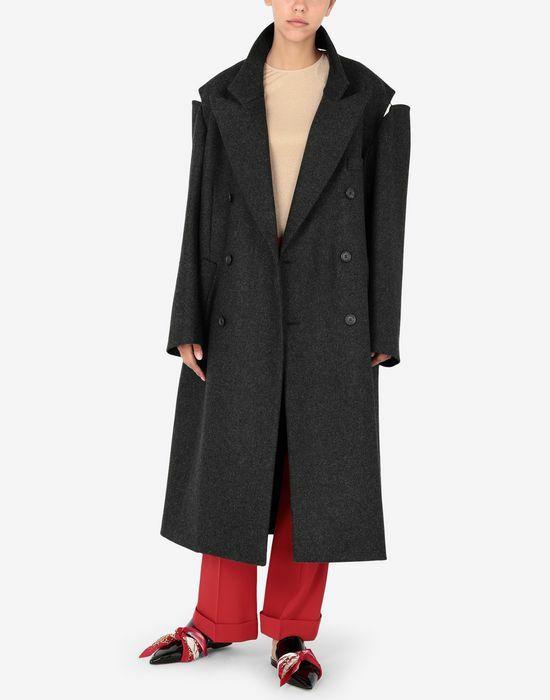 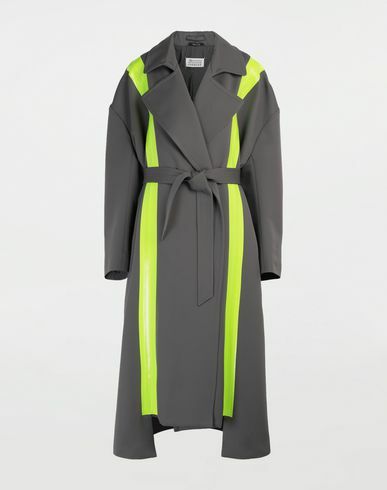 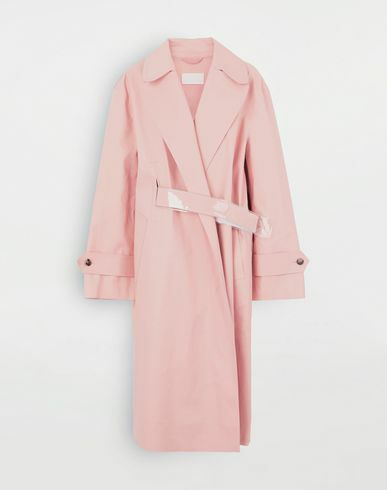 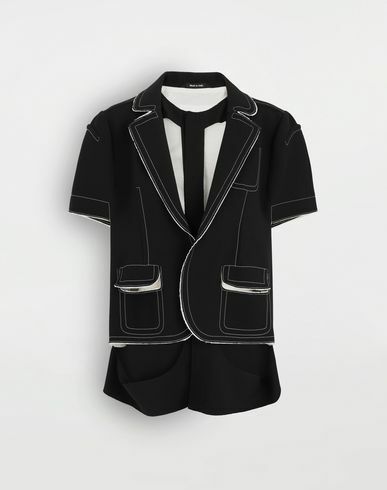 The collection finds its roots in the concept of 'unconscious glamour' so the classic overcoat lends itself to eveningwear and sportswear alike. 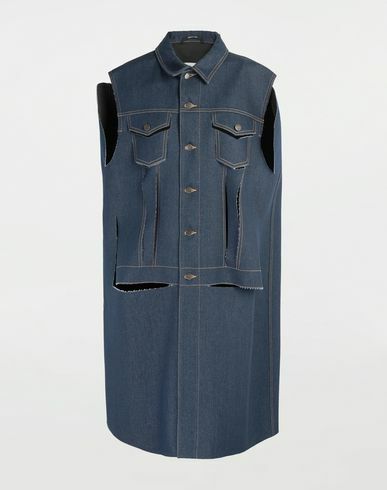 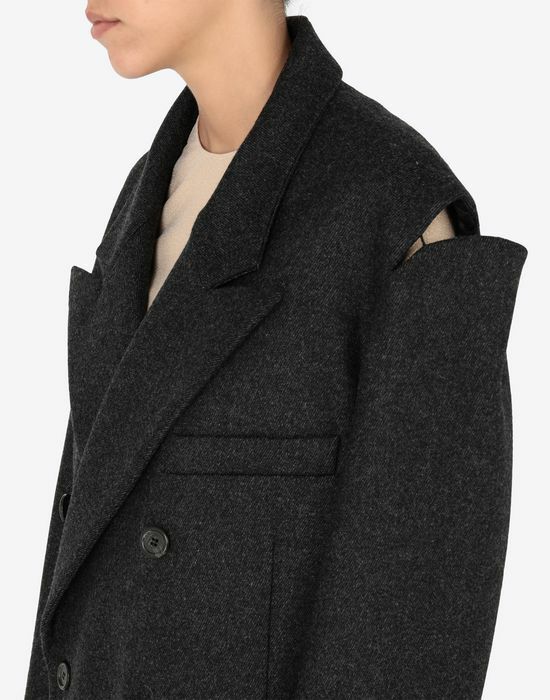 At the shoulders, a 'décortiqué' detail brings a modern twist. 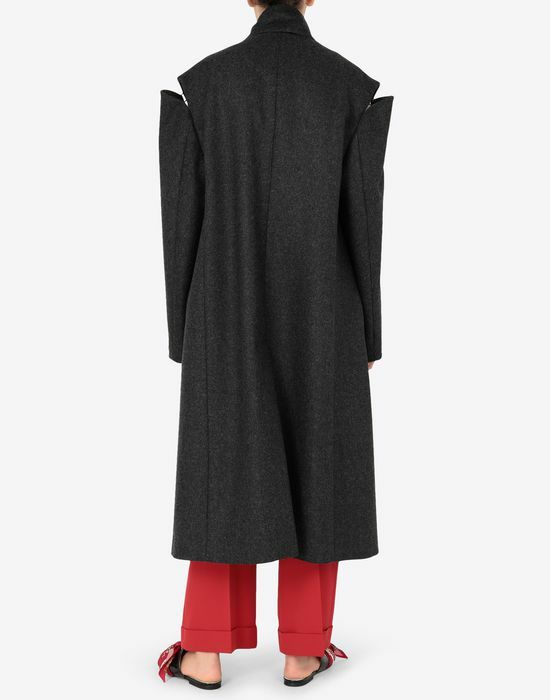 The fabric has a small check print in a neutral colour and is cut just below the knee.